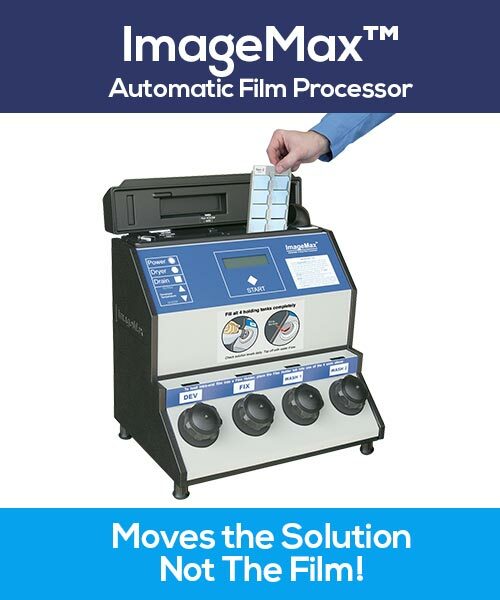 Specifically designed for roller-less film processors like ImageMax and PeriPro. SAVE MONEY! Why pay to ship water! SAVE SHELF SPACE! ImageMax Concentrate requires 75% less storage space. AVOID MISTAKES! Developer is color-coded red to prevent mistakes. LONG SHELF LIFE! Concentration provides over 1 year shelf life while standard ready-mix is good for only 3-4 months. 8 ounce concentrate mixed with water makes one quart. SPECIAL FORMULATION: Most other quart-sized chemistry is just “repackaged” automatic solution. 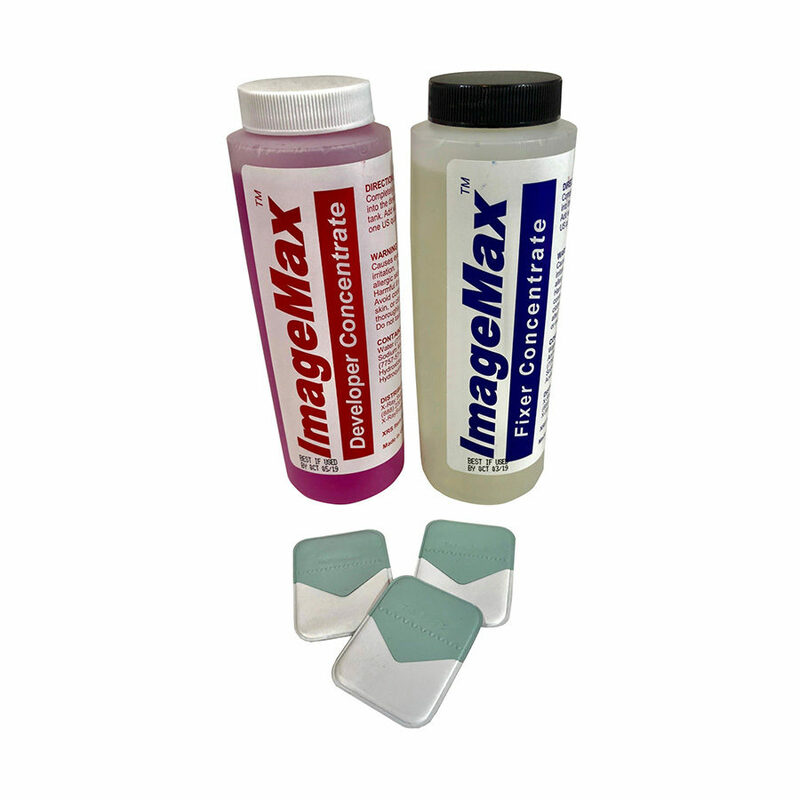 ImageMax Concentrate chemistry is a special roller-less formulation (no hardener in the developer) which provides a finer-grain image. You will notice the difference! 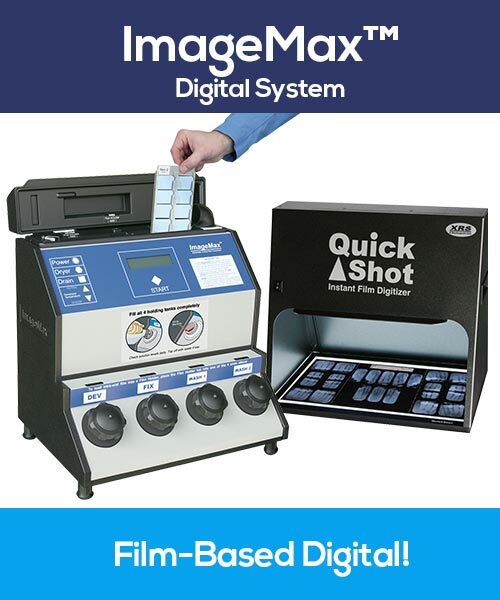 We recommend quart-size chemistry for processors that only use one quart like ImageMax and Peri-Pro because gallon jugs begin to oxidize as soon as the seal is broken and can fail before all 4 quarts are used. SIMPLE TO USE! Pour the 8 ounce concentrate into your processor, then add water. Easy to refill , clear pictures! Just the right size and long lasting. No smelly odors or color changing chemistry. Being in a small practice space is very limited, these are so easy to use, store and fill the processor! Highly recommend this product!!! 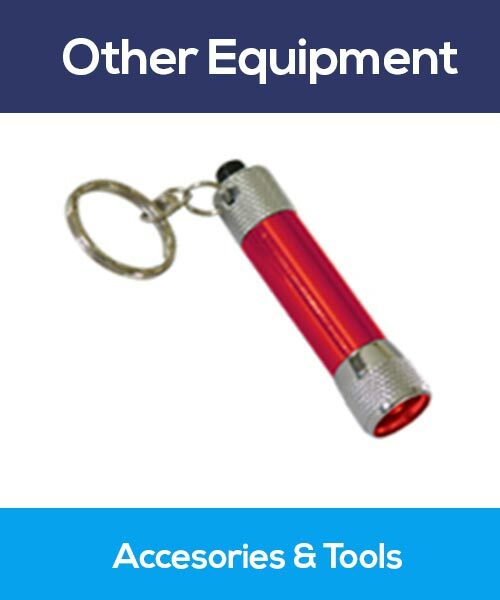 Perfect size for easy and quick cleaning and changing of chemicals. Ken was very helpful. he guided me through everything and had an answer for all my questions. Love the savings and fast shipping! 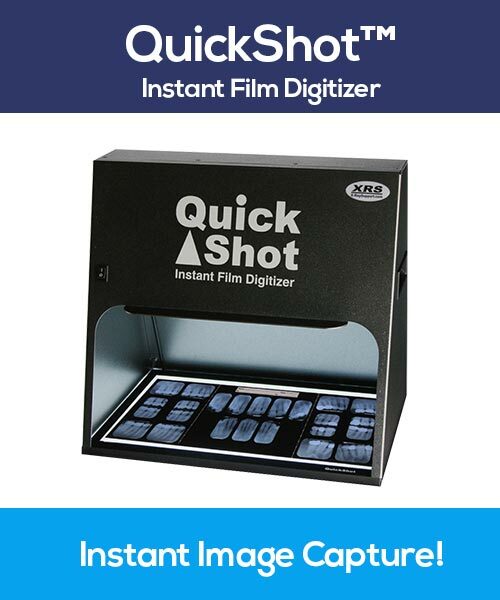 Easy to operate for great pictures and easy to change solutions with computer generated reminders! These chemicals are so easy to use and they help deliver clear images each time. They are super simple to use when changing out the chemicals in the machine and they don’t stink!!! Plus with the free shipping it’s a bargain to buy them!!! Just the right size, easy to handle & pour. Customer service is always friendly. Love the savings!